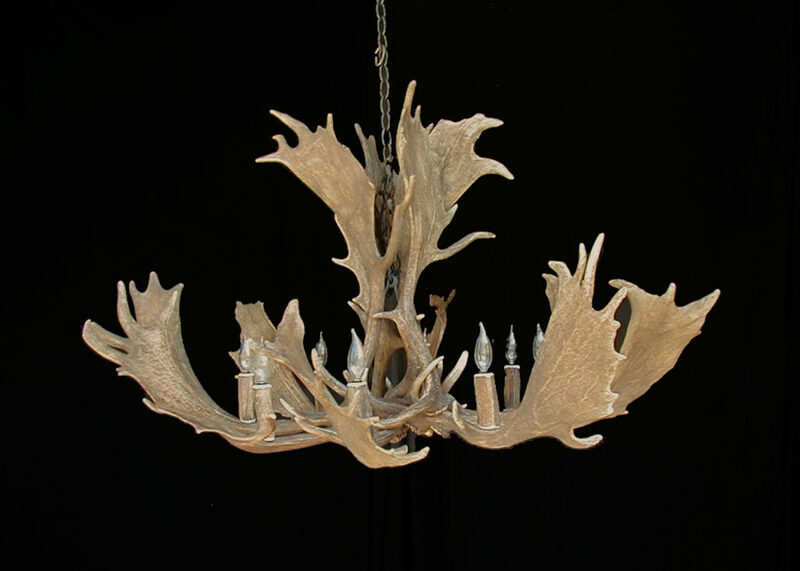 This exotic Real Fallow Deer Antler Chandelier is unique and beautiful design. This design gives the “palmated” look of a Moose without the loss of lighting performance experienced in the moose antler lighting designs. The Glacier Antler Chandelier speaks for itself with eight fixtures generating up to 480 watts of performance and is subject to antler availability.